Below is a selection of high-value claims we have dealt with in recent years. 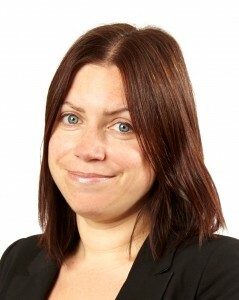 Emma Mason is a partner and Managing Director of Cohen Cramer Solicitors and specialises in high worth serious injuries. The Claimant was subjected to negligent treatment over a six-month period, resulting in him undergoing unnecessary treatment and suffering injury to his right eye. The hospital failed to manage the pressure in his right eye and failed to tell him about the seriousness of his condition. The hospital failed to consider what other treatments he should receive. Appointments were either not arranged with enough urgency and/ or were cancelled; at times, the treatment which the Claimant was undergoing was not adequately explained to him. The Claimant suffered optic nerve damage. The Claimant now suffers from significantly reduced vision, loss of vision at night and impaired depth perception amongst other difficulties. He already had pre-existing problems with his left eye. Although the hospital denied liability throughout the claim, just a few weeks before trial Cohen Cramer Solicitors were able to negotiate the settlement of the Claimant`s claim in the sum of £150,000. Our client, P, sustained a serious personal injury whilst in the course of crossing the road. She had walked out in front of the Defendant’s vehicle which had struck her. Our client received £757,000 in compensation for her injuries, despite liability having been compromised and approved by the Court on the basis of a 25/75 liability split in the Defendant`s favour. As a result of the accident, P suffered a severe head injury. She lacked the capacity to manage her own affairs which led to a Deputy having to be appointed. P was left with severe post-traumatic epileptic seizures and a vestibular injury which affected her balance. In view of the complex nature of her injuries, the P’s case necessitated the involvement of many professionals, including a Case Manager, treating therapists and support workers. It was necessary to instruct a wide range of experts to give evidence in connection with P’s case including a Neurologist, Neuropsychologist, Orthopaedic Expert, Nursing Care Expert, Occupational Therapist, Audiovestibular Physician, an Accommodation Expert and an Expert in Assistive Technology. Following a successful resolution to the case at a Joint Settlement Meeting, the settlement was approved by a High Court Judge. On a full liability basis, the settlement was equivalent to £3,028,000. Jeanette had been shopping at her local supermarket when she was knocked over in the car park by an abandoned trolley blowing around in the wind. As a result, she suffered injuries including fractures to her left elbow, shoulder and wrist. Complications set in resulting in nerve damage and surgery was performed on three occasions. Ultimately she was left without the full use of her left arm. Due to the severity of her injuries, Jeanette had to take a considerable amount of time off from her job as a social worker, leaving her with insufficient income. Not only did she have a young child to look after, but the constant pain she suffered meant that she was unable to use her left arm to perform everyday tasks such as carrying heavy shopping and changing gear whilst driving. Jeanette needed a full medical assessment, medical treatment and replacement income to tide her over in the short term, as well as full compensation once the extent of her condition and long term needs had been ascertained. Once instructed, Cohen Cramer quickly obtained a full picture of Jeanette’s condition and the impact on her life through orthopaedic, neurological and pain management assessments. They then ensured that Jeanette received medical treatment and the necessary rehabilitation and interim payments whilst waiting for the case to be concluded. Cohen Cramer obtained three substantial interim payments to cover the periods when Jeanette was unable to work. Having gained an admission of full liability for the accident from the supermarket, they were eventually able to recover a considerable sum as compensation to cover Jeanette’s pain and suffering, as well as future loss of income, the cost of care and the fact that she could only comfortably drive automatic vehicles. Simon was 7 years old when he ran into the road between two parked vehicles and was hit by a moving car. He suffered serious head injuries to include brain damage, leaving him dependant on others for his everyday care. Given his young age, it would be some years before Simon’s medical condition plateaued, which would then allow a final assessment to be made on how he would be affected for the rest of his life. In the meantime, Simon and his family were struggling to live in their existing accommodation, as Simon was wheelchair bound and had difficulty in negotiating stairs. The car driver’s insurers were arguing that the driver was not to blame for the accident, so liability had to be determined as quickly as possible in order for Simon and his family to obtain assistance and money in the short and medium term. They had the accident scene forensically assessed and were able to argue that the driver of the vehicle had been driving over the 30mph speed limit. Due to obtaining an early admission of liability, Cohen Cramer was able to gain immediate lump sum payments for Simon and his family, which enabled them to buy an appropriate vehicle to take Simon’s wheelchair, specialist equipment, holidays and cover carer costs. The family were even able to buy a new house and pay for adaptations to it. During the case, Cohen Cramer obtained experts’ reports not only from medical consultants but also from care and nursing consultants, occupational and ergonomic assessors, accommodation and employment specialists. Once Simon reached the age of 13 and his medical condition could be fully assessed, they were able to finalise the full compensation payment which came to over £1 million.